With over 30 years of experience in public health, Aboubacry has held positions at all level of the public health hierarchy in Senegal, from the district to the central levels. 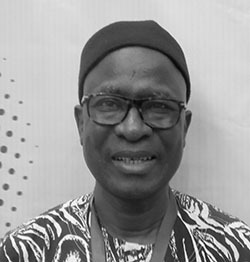 He has worked extensively on diarrheal, EPI, nutrition, child health, maternal health, family planning, and primary health care programs in Senegal. His previous experience includes work with The World Bank, USAID, and UNFPA. Prior to joining A&T he was the HKI Senegal Country Director, coordinating HKI work in Senegal in preventing malnutrition among children under five. Siga joined A&T in September 2018. As a medical doctor and public health specialist, she brings a wealth of knowledge and experience to the West Africa office. Prior to joining A&T, she worked as the Technical Advisor and Technical Support to the Mother and Child Health Directorate (MCHD) in Senegal. 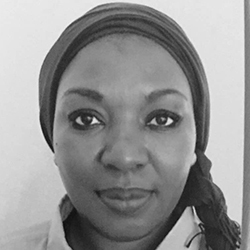 She previously served as the Coordinator of the PROGRESS Project in the Senegal Research program to strengthen services funded by USAID and implemented by FHI360. 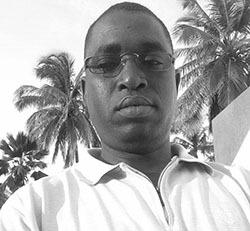 Amadou brings 15 years of experience in the fields of accounting (operations), finance (financial reporting tools, budgeting, budget monitoring, bank reconciliation, financial analysis, tax, and social statements), logistics (workshops / seminars, airline tickets booking, vehicles, hotel arrangements), and human resources (management payroll, retirement and related services). He has worked as an accounting and finance officer with a range of government and non-government entities including the USAID, SOCOPAO, CLUSA, Millennium Villages Promises, Brooke West Africa and FHI 360.